It would not be a stretch to suggest that Ana Botín, Executive Chairman of Santander Group, is the most powerful woman in banking. When she took the helm in 2014, she was the first woman to chair a global financial organisation and one of only six women to lead a Fortune Global 100 company. A year later, she had a net worth of $150m, and last year she topped a Fortune list of the most powerful women in the world outside the US. His strategy of buying and selling was undeniably the right one for the time; in 2007 he acquired Italian lender Banca Antonveneta, then secured a huge profit by agreeing to sell it on before the purchase had even been completed. This period of Botín’s career is usually viewed negatively, but a few analysts see it differently. Among them is Mauro Guillén, Professor of Management at the Wharton School and author of a book on Santander. Jumping forward eight years, in 2010 Botín was sent to London to take the reins at Santander UK, following António Horta-Osório’s departure to head up Lloyds Banking Group. This period proved to be the making of Botín, as she transformed the struggling UK arm into a profitable, well-managed business with 860 branches, 20,000 staff and 14 million customers. 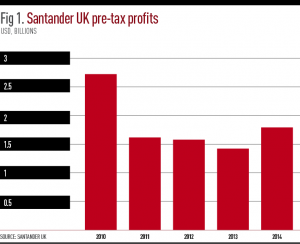 By the time she left in 2014, Santander had also grown into the UK’s second-biggest mortgage lender. The product offering was limited, the bank was suffering from both tightened regulation and a tough economic climate, and customer complaints were flooding in. To cap it all off, an annual customer satisfaction survey by JD Power & Associates named Santander the worst performing UK bank for three years in a row. Botín was fully aware of the challenge she faced. “The strength of the Santander model is having a strong relationship with retail customers, and we don’t have that yet in the UK,” she told Fortune in 2012. She immediately set about reforming the bank’s management, shaking up at least two thirds of the top 120 staff members and widening the customer base. Arguably Botín’s biggest contribution while in the UK was her focus on technology, which was most apparent in her support for start-ups. Her biggest project was the Breakthrough programme, a $392m capital fund to help small firms develop into medium-sized enterprises. The strategy also included trade missions in New York and Brazil, as well as a programme to assist companies in recruiting talented staff from universities. 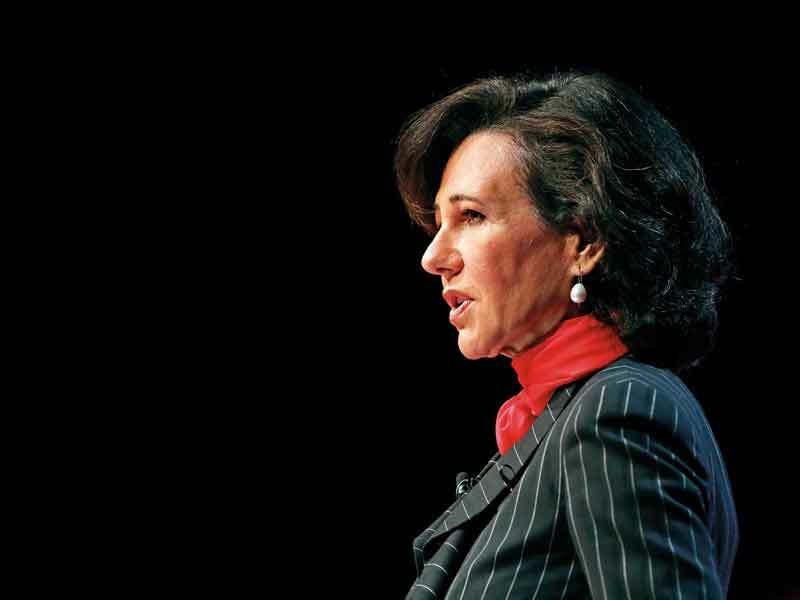 “Ms Botín positioned Santander as a major provider of lending for small and medium-sized UK businesses, complementing the UK Government’s wider efforts to boost overseas trade,” said Simon Manley, UK Ambassador to Spain, in a 2015 interview with The Telegraph. She was awarded a damehood for her achievements, named a UK business ambassador, and, in July 2015, given a place in the Prime Minister’s Business Advisory Group. Mirroring her strategy with the UK arm, Botín didn’t hesitate to bring about changes at the top table. She replaced CEO Javier Marín with then-CFO José Antonio Álvarez, and appointed José García Cantera from Banesto as the new CFO. She also introduced three new directors, “putting her stamp on the business and showing what she wants to do,” a Madrid-based analyst told the BBC.